LANESVILLE—Emily Horine couldn’t hide her excitement after attending the annual Middle School Jamboree on Sept. 18. Emily’s reaction was typical among the 50 youths who participated in the day of fun and faith at St. Mary Parish in Lanesville, which was organized by New Albany Deanery Catholic Youth Ministries. The jamboree gave middle school students an opportunity to learn about their faith, celebrate being Catholic and meet new friends. The jamboree included Mass and a talk by keynote speaker and Catholic vocalist Sarah Bauer of Carmel, Ind. There were also sessions to educate youths about the Catholic faith and allow them to reflect on their relationship with God. 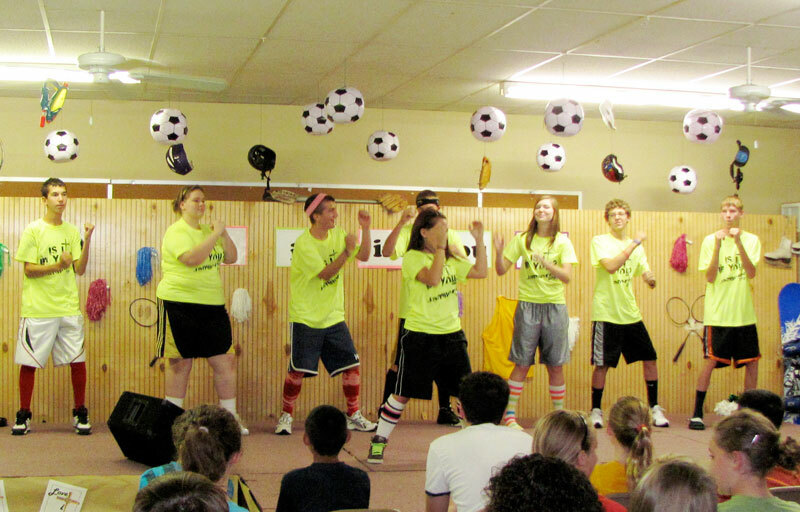 A dance party and games were also included in the actvities. 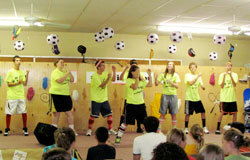 The jamboree was planned by high school students who are involved in the youth ministries’ program.